I have stated that I’ve gone “fragrance free.” What I mean by that is that I try not to use products that have “fragrance” listed as an ingredient. This is because that term doesn’t mean a specific ingredient. It’s a placeholder for a proprietary concoction that could contain carcinogenic chemicals. However, I still like to use perfume for special occasions. Like the Yakshi perfume I have reviewed previously, this is a roll on made from essential oils. It’s a bit lighter and less greasy than the Yakshi however, and absorbs easily into my skin. 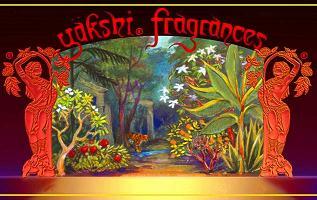 This fragrance is a lovely, light and floral. You can smell white tea and jasmine. It’s not overpowering, and quite pleasant. The package came with a small packet of Juara shower gel of the same scent. Juara seems like a company that takes it’s social commitment seriously. Their website touts that all of their products are vegetarian and free of parabens phthalates, and sulfates and that they do no animal testing. 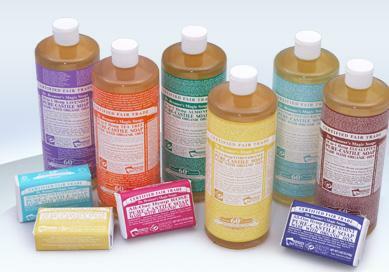 In addition, their packaging is Forest Stewardship Council Certified. My friend Alexandra has seen my series on eco-friendly cosmetics and recommended I check out Terrain (disclosure, she is an employee). This mousse caught my eye because I have been looking for hair care products that fit some my criteria above. This one is 100% vegan, and contains no parabens or sulfates. I was actually skeptical that it would work on my hair, but decided to give it a try. My hair is thick and wavy, and can be very frizzy in humid weather or for no reason at all. I usually add a lot of mousse to define my curls on special occasions. Last week, when Ebonmuse and I were going out on the town, I tried it, and it was fantastic. It smelled like rosemary and my hair looked just as good as when I use my typical, loaded with carcinogens, mousse. 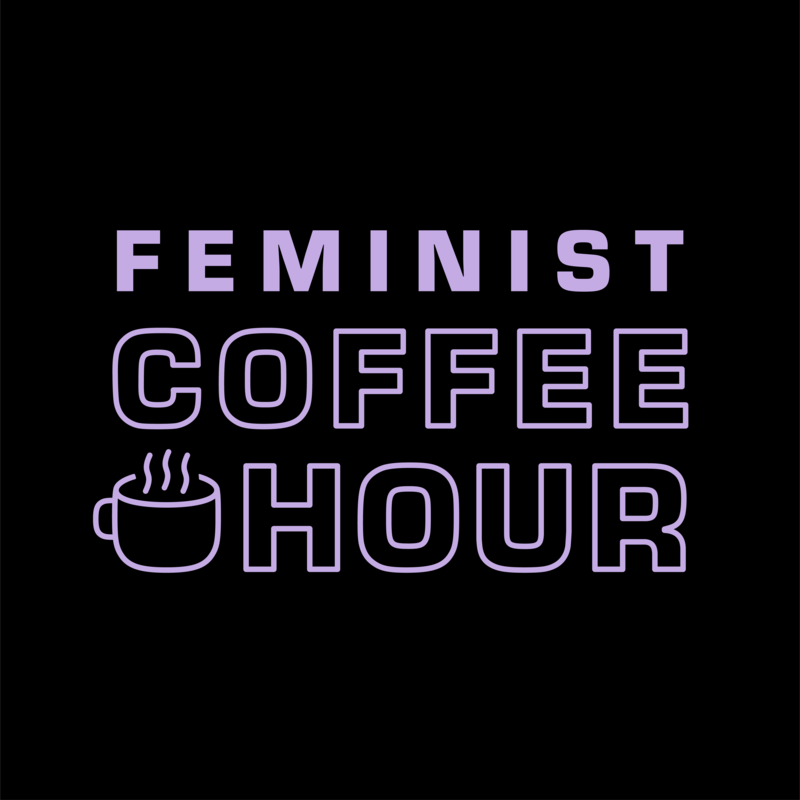 I would highly recommend this. Edit: Many months later, I am still enjoying this product. I do have to add that the bottle leaks while traveling on an airplane. If you put this in your checked luggage, make sure you have it in a separate, sealed plastic bag. I decided to try Kiss My Face Moisture Shave because I knew that other shaving creams were loaded with the synthetic chemicals I’m trying to banish from my grooming routine. I was skeptical that it would lather as nice as other shaving products, but it does. You do have to rub a slight amount more, however the difference is negligible. 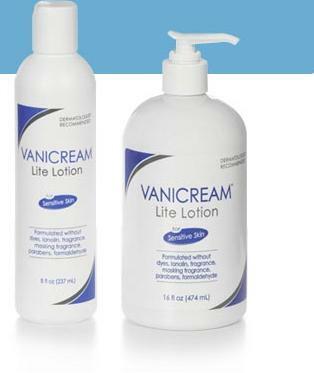 My dermatologist recommended Vanicream Lite Lotion when I told her I was switching to fragrance free products, and also trying to avoid parabens and phthalates. I like it a lot, it feels like a very light lotion you would use on your hands or body. It’s not heavy at all, is absorbed by your skin quickly, and has no discernible scent. I think it compares well with Yes to Cucumbers. 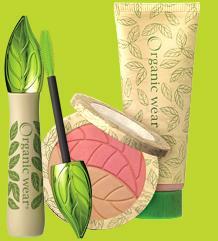 A final note: It is possible to start small with using healthier cosmetics. Neutrogena makes an oil free fragrance free daily moisturizer I like almost as much as Yes to Cucumbers, and many national brands of products like deodorant and laundry detergent are also available fragrance free. Once you get going, it’s not too difficult to do a little research and read product labels so you can make an informed decision for what you put on your body. UPDATE 9/2/15: I must temper my glowing review below with the advisory that Origins uses child labor to produce it’s products. 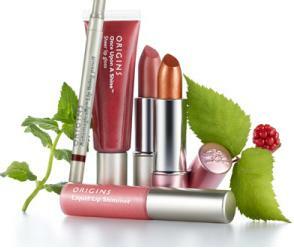 Origins is my absolute favorite brand of makeup. 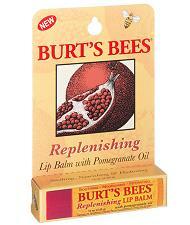 I was first introduced to them when a friend gave me a gift set containing bar soap, lotion and lip gloss. When I was experimenting with different looks for my wedding, I splurged on a few different lip sticks (both flower fusion and rain and shine brands) and eye liners to test shades and was not disappointed. The quality is excellent. I have purchased the products from Macy’s department stores and also from stand alone locations. The staff are always very helpful and will always let you test products. This year they have put out a natural ginger scented perfume. It’s not quite my style but worth sniffing the tester if you see it around. This is the brand of makeup I can use every day. It’s in most drug stores and fairly affordable. I’m not a fan of foundation in general but have used their line. My every day powder is Physican’s Formula, and they make cases out of bamboo and recycled cardboard and also sell refills for your compacts to reduce packaging waste. I like their mascara although it is not waterproof. Their eyeshadow is also good quality but they do not have many colors to choose from currently. 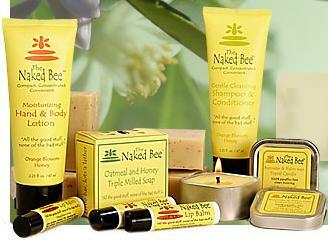 The Naked Bee products are usually sold in gift shops, and cannot currently be purchased online unless you are buying in bulk for retail sale. I do stock up when I come across them. 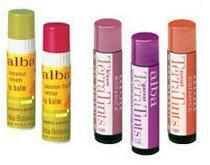 The lip gloss has a nice honeysuckle scent and the lotion is one of my favorites to cool irritated or dry skin.